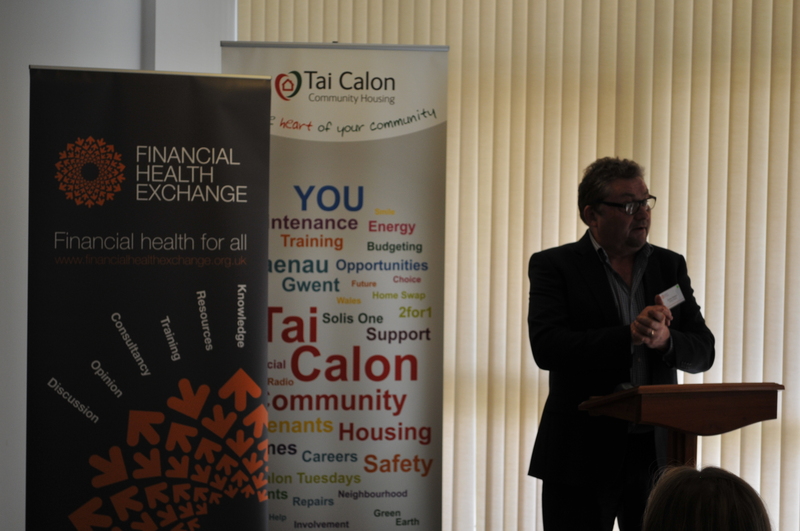 Our event series ‘Building Financially Healthy Communities’ kicked off on 6th April kindly hosted by Tai Calon Housing in Blaina, Wales. 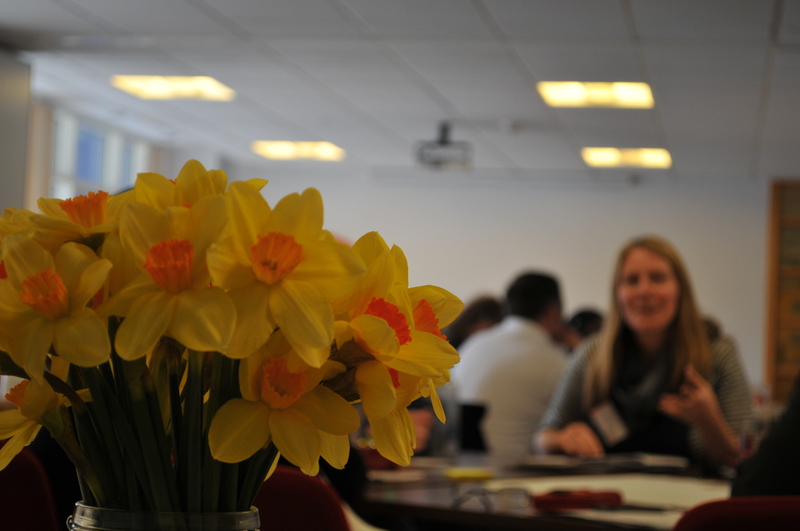 We had over 40 people join us on the day, representing a cross-section of the sector, including social landlords, credit unions, local advice and community organisations, and local authorities. 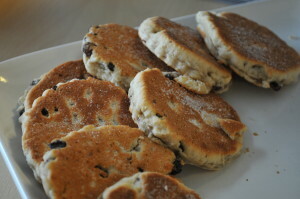 Representatives from the Welsh government and the DWP also joined us for the event. The day focused on sharing what we’ve learned as a sector about how we can transform the financial health of people in our communities. Thought-provoking presentations from guest speakers and the lively afternoon workshops left participants with examples of good practice and inspired new ideas for improving people’s financial health. 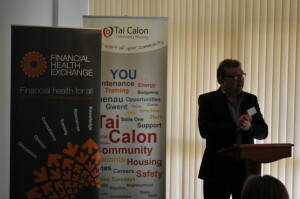 For instance, Andrew Bateson, Director of Operations at Cadwyn Housing revealed how going through a financial inclusion health check for organisations (FIHCO) helped Cadwyn to better understand the tenant experience and uncovered how certain policies and practices were, in practice, detrimental to their tenants’ financial health. Andrew spoke candidly of how the idea that they were doing things that could harm their tenants’ financial health was a new concept for them, and how the health check helped them to identify what they were doing well, and understand better where in the tenant journey financial detriment was likely to happen. Andrew then described how they took action to improve some of their practices, for example; giving tablets with the tenancy agreement pre-loaded to new tenants, introducing decoration packs for all new tenants, and developing a check list for Housing Officers. To learn more, you can download Andrew’s presentation here. Lee Phillips from the Money Advice Service and Haydn Jones, MAP Tool Project Manager at Toynbee Hall spoke about the importance of evidence and evaluation for the financial health sector. Lee emphasized that although many of us know how important it is to demonstrate our impact, very few of us actually have robust evaluation strategies in place. Lee introduced us to MAS’s Evaluation hub and the common evaluation toolkit, and appealed for participants to sign up to the IMPACT principles – a public commitment to building the evidence base and ensuring that robust evidence is at the heart of everything we do. Haydn Jones updated us on the development of Toynbee Hall’s MAP Tool and demonstrated the online interface with an explanation of the features it includes, such as bespoke client surveys, reporting, and a client overview. Haydn also shared with us two case studies about how the MAP Tool has been used to track the impact of advice and housing support services. The case studies really brought to light how beneficial a robust evaluation system is to an organization. 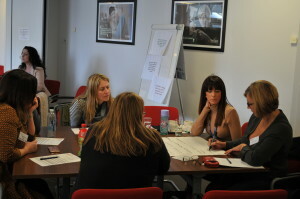 In particular, they illustrate how gathering data isn’t just about demonstrating impact, but how it can also help us to better understand our service users, improve practice, and inform stakeholders of the impact that certain national policies are having on communities, which is extremely important if we want to steer change at the policy level. If you would like to know more about the MAP Tool please contact us, we can arrange for webinar demonstrations and trial logins for you to see the MAP Tool in action. If you would like to use the MAP Tool in your work, we will help develop a plan for how it can help you serve your clients and evaluate the impact of your service. At the Financial Health Exchange, we recognise that there are others outside of the financial health sector who demonstrate good practice when it comes to creating better outcomes for people in their communities. Organisations like the Saracens Sport Foundation, who made a special trip to Wales to talk with us, often have a direct impact on people’s financial health by focusing on other underlying needs. Owain Davies, Senior Sports Development Manager, spoke to us about how they use the values of sport to create a holistic personal and social development programme within Feltham YOI. In addition to skills development and training in rugby, the programme runs year round ‘Through the Gate’ support which is a bespoke release plan to ensure pathways to employment, education, housing, benefits and family support. Owain touched on the importance of focusing on understanding what needs and aspirations individuals have, and then having the right partnerships in place to provide ‘wrap around’ support within the community. You can find out more about Saracens and how they are changing lives here. Following presentations we held two workshops that generated lots of discussion and exciting ‘outside the box’ ideas, which participants could take away. The first workshop, ‘The role of communication in financial capability’, facilitated by Tanya Spence, Financial Health Training and Learning Development Manager for the Financial Health Exchange, explored how communication plays an important role in the work we do and how engaging, confident and flexible communication can be a powerful tool in financial health work. We explored common scenarios that can become communication barriers and worked as a group to identify a number of ways we can communicate more effectively. The workshop revealed three main areas where participants felt there was a need for more support for the sector. These areas included identifying and communicating with service users who have support needs around mental health, drugs and alcohol, and learning difficulties; communicating about Universal Credit and welfare reform in a way that doesn’t scare or discourage people, and using social media. 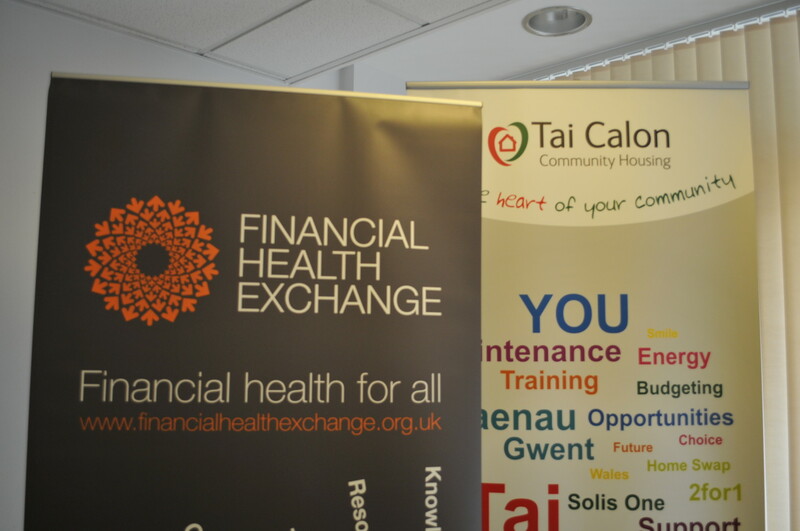 As we continue delivering these workshops across the country we will carry on collecting this feedback and explore what the Financial Health Exchange can do to support the sector in these areas. 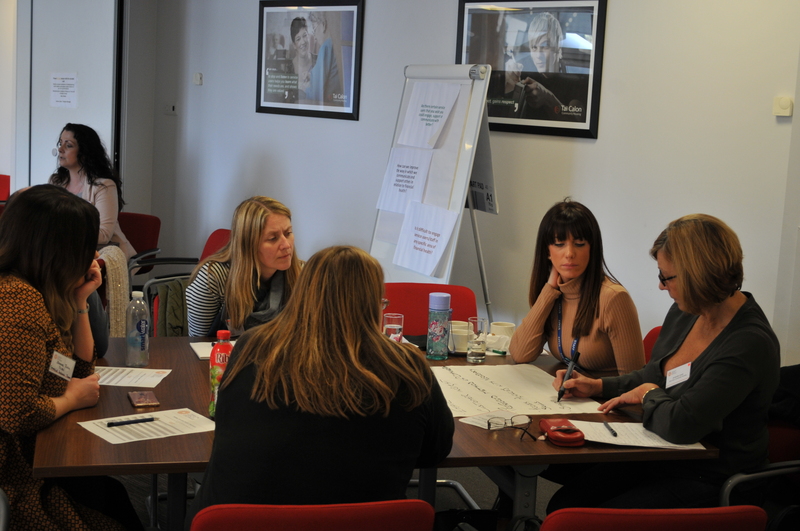 The second workshop, ‘Beating the poverty premium’, facilitated by Sian Williams, focused on how we can eliminate the extra costs that low-income households are often forced to pay. The aim of the workshop was to get people thinking about practical things they and their organisations can do that would reduce the poverty premium in their community. 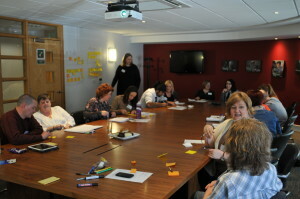 Sian challenged us to think not just about how we can support people on an individual level (e.g. helping people to switch or shop around) but to also think about how we can create market solutions by working together. This could be anything from building a community transport scheme in areas that are underserved by transport networks to free community Wifi. Ideas generated from both workshops were collected and organized into an Infographic, which you can download and share. Thank you to all those who attended and participated – it was a fantastic event with a lot of stimulating discussion and activity. And finally, a very big thank you to Sarah Freeman and Tai Calon housing, who kindly hosted us on the day and supplied us with delicious Welsh cakes! Our ‘Building Financially Healthy Communities’ will continue with events in Manchester and Mansfield. Manchester – 27th May, 2016. Registration is now open and you can RSVP here. Mansfield – 23rd June, 2016. Registration is now open and you can RSVP here.